NAD’s innovative MDC technology allows customers to seamlessly upgrade their NAD AV Receivers or Processors with the latest technologies and features. Featuring Dolby Atmos, the AM 230 creates an expansive home audio experience. Easily integrate Hi-Res Audio, network streaming, and music control. Featuring BluOS, the music management software developed by NAD’s sister brand, Bluesound, the BluOS 2i module is a complete digital music solution at an amazingly affordable price. Meet the BluOS Upgrade Kit – a small device that easily connects to the USB input of your BluOS Ready NAD component, equipped with a VM 130 or VM 300 MDC Module, and lets you stream all your music with one easy-to-use app. A component that critical listeners can applaud for its musical quality, and one that almost anybody can afford, the NAD C 558 is a full-featured, belt-driven model targeted for record enthusiasts everywhere. Pre-fitted with an Ortofon OM10 phono cartridge. 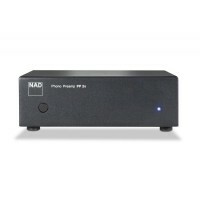 NAD DD AP 1 MDC Phono Preamp Module. Balanced stereo input (XLR), single-ended stereo input (RCA). Phono input, selectable MM / MC. RIAA EQ performed in digital domain. 24/192 ADC with auto input ranging: max resolution without overload. Class A input buffers. Offering three HDMI inputs, as well as one output with video pass through, the MDC HDM-2 HDMI Module is the ultimate key to creating one truly outstanding soundstage. The MDC HDM-2 is the perfect component for your C 390DD, C368, C388, M12, or M32. Perfect for the budget-conscious audiophile, the PP 2e’s moving coil/moving magnet input selector provides different phono cartridge options. 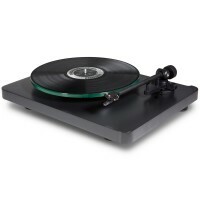 This allows the PP 2e to be paired with any turntable, giving consumers unlimited choice in building their system. We here at NAD have always prioritized the future. In 2006, our recognition of future features and upgrades became whole when we introduced our MDC technology. 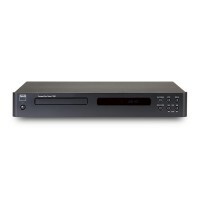 Allowing customers to ensure vitality within their NAD AV Receivers or Processors. Introduced in 2006, NAD’s innovative Modular Design Construction (MDC) architecture was built with the foresight that customers would want to upgrade their NAD AV Receiver or Processor with both new technologies and additional features.